One week before David Cronenberg’s Crash opened in the UK at the beginning of June, the normally reclusive author J.G. 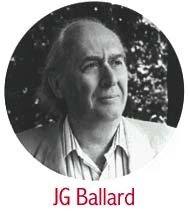 Ballard appeared at a regional press conference and pre-screening of the film in Wardour Street, London. Cronenberg’s film is based on Ballard’s 1973 novel of the same title, and the controversy surrounding Crash has brought Ballard back into the public eye to defend a film which he sees as a hauntingly accurate depiction of the book he wrote nearly a quarter century ago. It is a measure of the confusion surrounding the film that it was felt necessary to show Crash to regional newspaper editors and reviewers, as well as having both Ballard and Crash‘s co-executive producer Chris Auty present, to try and dispel the sensationalist media myths that had grown up around Crash since its premiere at the Cannes film festival.. Thanks to the London Standard’s headline that Crash was “beyond the bounds of depravity”, four local English councils banned Crash from being shown within their regional jurisdiction on the grounds that it is nihilistic, sado-masochistic and graphic in its sexual and violent content. Such hysteria has not been confined to this side of the Atlantic – Crash has only just been released on video in the US this month, having been delayed for over a year due to the personal intervention of media mogul Ted Turner. As the owner of Crash’s distributor Fine Line Features, Turner attempted to block Crash being released in the States at all, and only backed down when the press caught wind of his behind-the-scenes manoeuvres. (For the complete story, check out the report at Wired News). This is borne out by the experiences of Crash’s stunt co-ordinator Ted Hanlon. “Usually with car crashes, you just line up two cars and let them hit. The more damage and the bigger the explosion, the better. In this film, it’s the opposite. Cronenberg wanted the crashes to be brutal, nasty, intense and quick, as crashes are in r eal life, and without the attendant explosions or cliched slow motion tracking shots, in order to convey the immediacy such events.